Grounded in a research-based, conceptual model called Technological Pedagogical and Content Knowledge (TPACK), the essential premise of Music Learning Today: Digital Pedagogy for Creating, Performing, and Responding to Music is that music educators and their students can benefit through use of technology as a tool to support learning in the three musical processes – creating, performing, and responding to music. Insights on how technology can be used to advantage in both traditional and emerging learning environments are provided, and research-based pedagogical approaches that align technologies with specific curricular outcomes are described. Importantly, the book advocates that the decision on whether or not to utilize technology for learning, and the specific technology that might be best suited for a particular learning context, should begin with a consideration of curricular outcomes (music subject matter). This is in sharp contrast to most other books on music technology that are technocentric, organized around specific software applications and hardware. The book also recognizes that knowing how to effectively use the technological tools to maximize learning (pedagogy) is a crucial aspect of the teaching-learning process. Drawing on the research and best practice literature in music education and related fields, pedagogical approaches that are aligned with curricular outcomes and specific technologies are suggested. 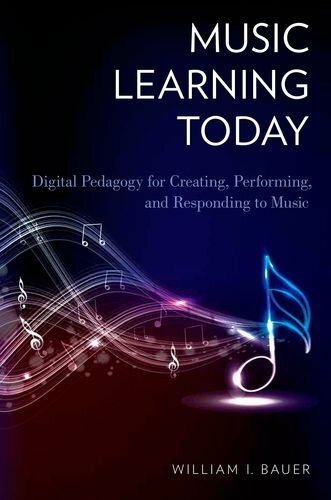 It is not a “how to” book per se, but rather a text informed by the latest research, theories of learning, and documented best practices, with the goal of helping teachers develop the ability to understand the dynamics of effectively using technology for music learning.